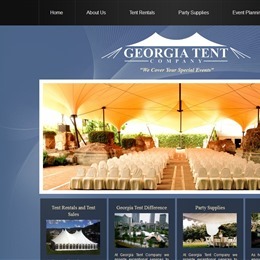 Select photos you like; we'll recommend wedding furniture and event rental services in Atlanta Try now! 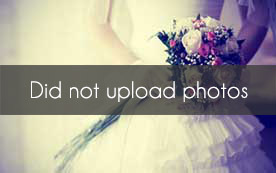 A wedding is the most important event most people will ever plan. 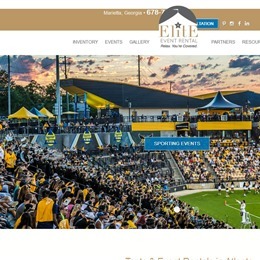 Elite has tents, seating, lighting, linens, dance floors, staging, pipe-and-drape, and many more options to make your wedding picture perfect. 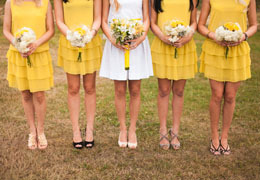 We take the stress out of the planning so that you can enjoy the time leading up to the big day. 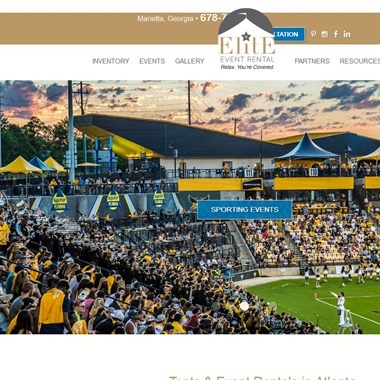 If you select a weekend for your planned event, you'll find that you can check for availability of rental items as you browse, and add them to the shopping cart if available. 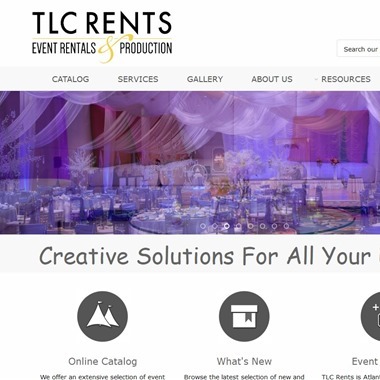 TLC Rents is Atlanta's premier source for event rentals. 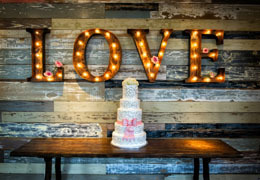 We work with you to provide assistance with planning and setting up the details for your next event. 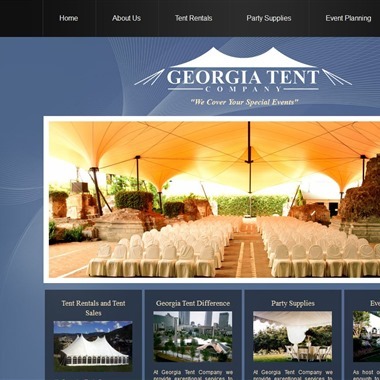 We offer an extensive selection of event rentals, tables, chairs, china, stages, tents and much more. 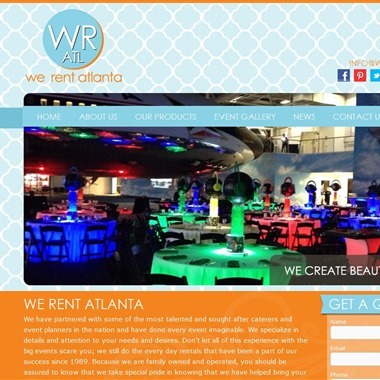 When you work with We Rent Atlanta, you are hiring a team that is diverse and experienced. 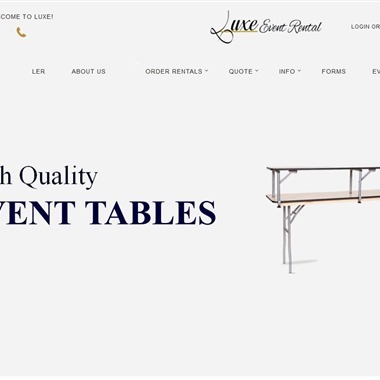 Because we care about EVERY event, (large or small) we take much pride and joy in providing quality products and superior customer service to our clients. 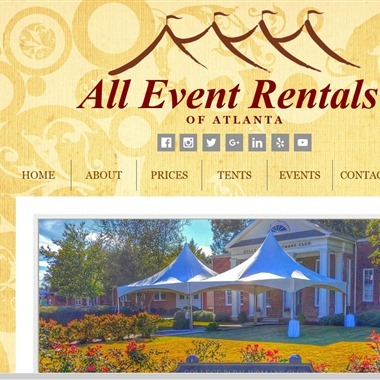 All Event Rental strives to make your satisfaction our top priority. Quality customer service is the foundation of our business. Family owned and operated, we still believe in a handshake and a smile! 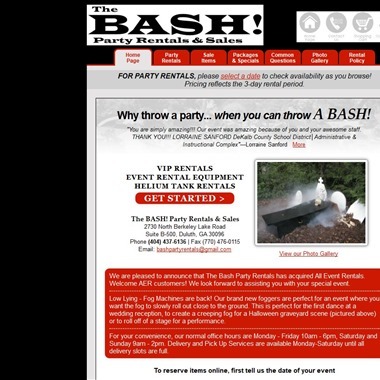 We focus on special events rental, event tent rental, and party rental equipment. 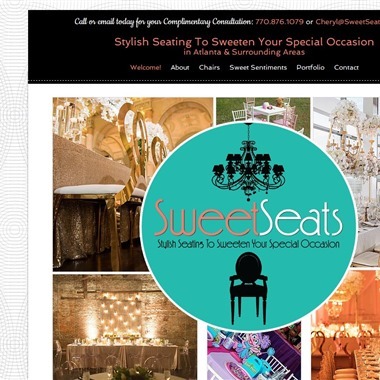 Sweet Seats is your spot for stylish seating to sweeten your next special occasion. 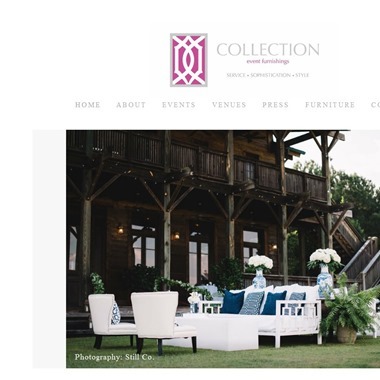 Located in the metropolitan Atlanta area and in Birmingham, we strive to offer you chic rental seating options that add elegance and function to any milestone you're celebrating. 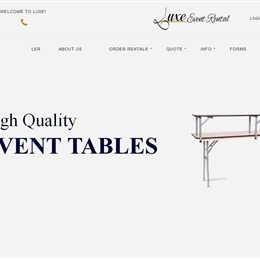 I Do Linens offers an extensive selection of luxurious and custom table linens to rent for weddings and events.